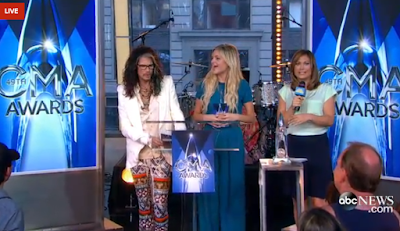 Black River Entertainment's Kelsea Ballerini and Big Machine's Steven Tyler announced the 2015 CMA Awards list of nominees this morning on ABC's "Good Morning America" from Times Square in NYC. Congratulations to all of the nominees, especially Kelsea who is a first time nominee in multiple categories! Our picks for each cateogry are designated below.